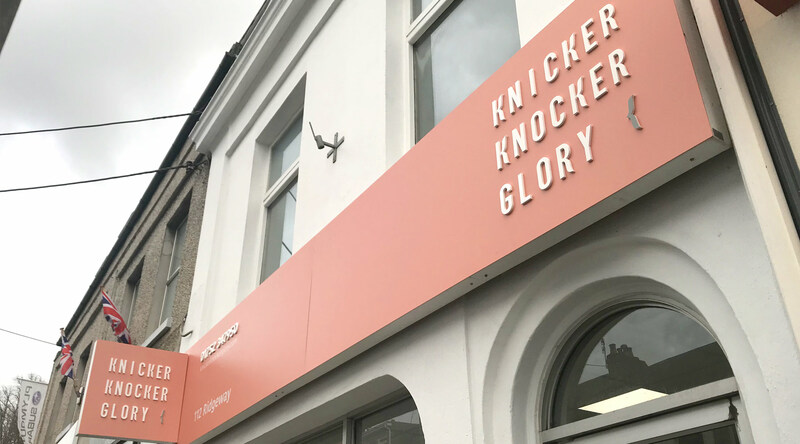 Knicker Knocker Glory is a new lingerie shop in Plympton, Plymouth run by Ellen Belton. Ellen (along with many other women) had grown frustrated with the lack of choice and quality of service lacking in Plymouth when buying lingerie was concerned. So she took a chance and started her own business to fill the gap she believed there was in the market. The Brief for the branding was to create a simple text led logo with accompanying stationary and signage. I Also helped choose a colour scheme that would represent the brand as welcoming to potential customers. 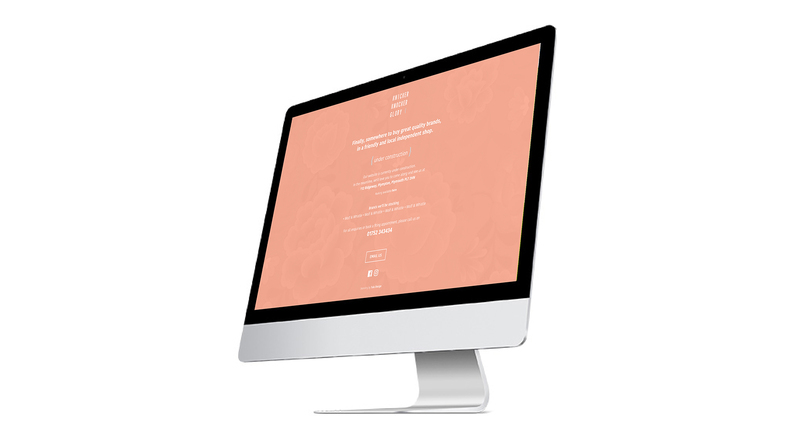 A website landing page was also needed for the domain knickerknockerglory.co.uk until Ellen was ready to commit to an e-commerce website.